This list of cocktail-related books is a work in progress, so please do let us know if you have additional resources or information we should include. After each entry are known sources of the work, for many of the older ones free downloadable copies, and commentary from Dinah on her research experience with this resource. For sources prior to 1950 we've attempted to locate confirmation of the book's definite existence at that time, usually through Library of Congress Copyright records, contemporary reviews or advertising, or similar sources from the year of publication. 1934. Anonymous. Angostura Recipes: Bring the aromatic fragrance of the tropics to your table. New York: Angostura-Wuppermann Corporation. Available as a PDF from EUVS. 1934. Boothby, William T. "Cocktail Bill". World Drinks and How To Mix Them: The standard authority as originally compiled by Hon. Wm.T. Boothby ... completely revised and greatly enlarged into an unabridged encyclopedia of all popular beverages. San Francisco: Recorder Print. & Pub. Co. The book's existence in 1934 is confirmed by its listing in the Library of Congress' Catalog of Copyright Entries. John C. Burton, bar management consultant and Boothby expert, notes that at least one recipe, the Boulevardier, did not appear in Swallows, the last book "Cocktail Bill" published before his death, and was probably added along with many other recipes by the ghostwriters of the 1934 edition of World Drinks. 1936. Meier, Frank. The Artistry Of Mixing Drinks. Paris: Fryam Press. Available as a quality reproduction from Cocktail Kingdom, with new introduction by Colin Peter Field. 1937. Arthur, Stanley Clisby. Famous New Orleans Drinks and How to Mix ‘Em. New Orleans : Harmanson. Available as PDF from Google Books. Available as a reproduction from Amazon. The book's existence in 1937 is confirmed by its listing in the Library of Congress' Catalog of Copyright Entries. 1937. 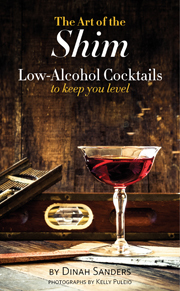 Iverson, John R. Liquid Gems: A book of drinks for the fastidious drinker. ? : J.R. Iverson. May have been published in San Francisco as the author identifies himself as "of the California Golf Club of San Francisco". 1937. Tarling, W[illiam] J. Café Royal Cocktail Book (Coronation Edition). London: Pall Mall. Available as a quality reproduction from Amazon, with a new introduction by Jared Brown. 1937. United Kingdom Bartenders Guild. Approved Cocktails. London: Pall Mall, Ltd.
1939. Baker, Charles H. jr. The Gentleman’s Companion, volume II: Being an exotic drinking book, or, around the world with jigger, beaker and flask. Including: a personally collected regiment of world-famous lively liquid masterpieces from greater & lesser ports of orient & occident, & the south seas. Not forgetting: The proper & civilized service of beverages with foods, together with proven formulae for home construction of certain bitters, wines, meads & cordials; a meaty kernel of advice for those departing for the bars, & in the last a sextet of temperance delights, & a platoon of picker-uppers of proven worth & discretion. New York: The Derrydale Press. Available for online reference from EUVS. A quality reproduction is available from Amazon under the title Jigger, Beaker and Glass. 1941. Whitfield, W[illiam] C[ampbell]. Here's How: Mixed drinks. Asheville, N.C. Three Mountaineers, Inc. Available as a PDF from HathiTrust (and same scan from Google Books). The book's existence in 1941 is confirmed by its listing in the Library of Congress' Catalog of Copyright Entries. 1944. Gaige, Crosby. The Standard Cocktail Guide: A manual of mixed drinks written for the American host. New York: M. Barrows and Co.
1943. Williams, H[arney] i[sham]. 3 Bottle Bar. New York: ?M. Barrows? ?M.S. Mill Co.? The book's existence in 1943 is confirmed by its listing in the Library of Congress' Catalog of Copyright Entries. 1946. Beebe, Lucius. The Stork Club Bar Book. New York, Toronto: Rinehart & Co. Available as a PDF from Google Books (missing cover and title page). The book's existence in 1946 is confirmed by its listing in the Library of Congress' Catalog of Copyright Entries. 1946. [Bergeron, Victor] "Trader Vic". Trader Vic's Book of Food & Drink, with an introduction by Lucius Beebe. Garden City, NY: Doubleday. 1947. [Bergeron, Victor] "Trader Vic". Bartender's Guide. Garden City, NY: Doubleday. The book's existence in 1947 is confirmed by its listing in the Library of Congress' Catalog of Copyright Entries. 1948. Embury, David A[ugustus]. The Fine Art of Mixing Drinks. Garden City, NY: Doubleday. Available as a quality reproduction from Cocktail Kingdom, with new introductions by Audrey Saunders and Robert Hess. The book's existence in 1948 is confirmed by its listing in the Library of Congress' Catalog of Copyright Entries. 1949. Editors of Esquire. Esquire's Handbook for Hosts. New York: Grosset & Dunlap. Existence of the book in 1949 is confirmed by its listing in the Library of Congress' Catalog of Copyright Entries. Used copies do show up from time to time on Amazon, but be careful about which edition you're buying. Thanks to the following for their helpful bibliographies, collections of resources, or other assistance: the Internet Archive (donate here to support their wonderful work! ); librarians everywhere but especially Marvin Taylor and Kelly Turner; David Wondrich, whose work is a constant inspiration and whose source notes in the 2015 edition of his book Imbibe provide valuable context for many works, in addition to the other notes he has kindly permitted me to share here; Lowell Edmunds, whose page "Pre-1910 Bartender's Manuals and Other Books Containing Cocktail Recipes: A Bibliography" was indispensable; Anistatia Miller, Jared Brown, and Exposition Universelle des Vins et Spiritueux, whose comments as well as collection have proven most helpful; Andrew "the Alchemist" Willett, for his "Books on Drink: A History (with ratings)" page as well as his posts; Joerg Meyer, for his unfailing enthusiasm as well as his rare mixology book list; Rabelais fine books on food & drink, for their detailed catalog notes; Erik Ellestad for his uniquely thorough experimentation with the Savoy Cocktail Book and general knowledge of measurements and substitutions; Jeffrey Masson, for his Boothby knowledge; the Difford's Guide team, for their balanced judgment; Paul Clarke, for his good will and hard work on behalf of his fellow drink nerds; Marcovaldo Dionysos, for his ready wit and extensive book list; John C. Burton, for kindly sharing his extensive bibliography and knowing more about "Cocktail Bill" Boothby than anyone. If you are the author of a book listed above and you have an Amazon Associates account, please drop us an email with an improved link to replace our code with yours. Maintaining this page is work and referral fees help us keep it up, but for your own book you are more deserving of that tip! Sadly some books once held by libraries have been stolen from us all. Library thieves suffer in an even lower circle of Hell than vile people who sneak out of bars without paying, those who snap their fingers to get the bartender's attention, and non-tippers. If you, in your youthful foolishness, committed such a sin, in order to be absolved you must put that book in a well-padded envelope and slip it into the book drop to return it to our common resources.